When it comes to getting bottled water for your office or home, you need to make sure you find the best company. There are several companies available to the Colorado Springs area, but how do you know which one to choose? It can be easy to find the best Colorado bottled water by asking a few simple questions when investigating the various businesses available. You're Brewing Your Coffee ALL WRONG! We all know coffee is an important part of life. Second only to water, most would say. While no one would ever deny their love for coffee, most don't realize that they may be brewing it completely WRONG. Did you know you're probably brewing your coffee all wrong? Did you know their was a right and a wrong way to brew your coffee? Luckily your local Colorado Springs refreshment and water experts are here to offer you our quick guide to the dos and don'ts of brewing a perfect pot of coffee. 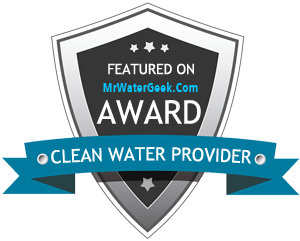 Benefiting from a Denver water delivery service for your home or office? Having a dispenser that gives you water at the right temperature and that also filters it will result in a taste like no other. If you are still considering this possibility, you will need to acquaint yourself with some of the most important benefits of drinking filtered water and using it to make coffee or tea.